This coarse ground nut-meal is perfect for pastry fillings, cookies, cakes and more! It's naturally gluten-free and perfect for adding richness to your wheat free breads. 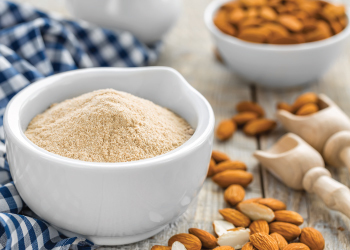 Honeyville's Hazelnut Flour is a delicious nut flour that's gluten free, low carb, and freshly ground from pure whole hazelnuts. Enjoy the rich taste of nutty hazelnut in your cakes and cookies with this wheat flour alternative that's easy to use, healthy, and makes your baked goods moist and rich. It's a good source of vitamin E, and works for any gluten free or paleo diet needs. Another great benefit is that this hazelnut meal holds it structure and doesn't crumble as much as almond flour, so try it out for your pie crusts, coatings, muffins and more! Shelf-Life: Stores for 3 to 6 months in a sealed 2.5 pound bag under ideal storage conditions (cool, dry place). 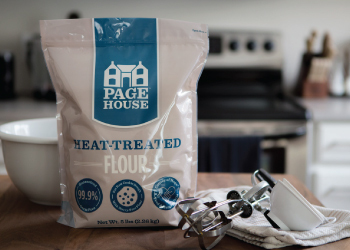 Uses: Substitute Hazelnut Flour with any recipe calling for flour to make healthy paleo and gluten-free cookies, crusts, muffins, cakes and more. Packaging: Available in a 2.5 pound bag. Packaging may vary.